A review of Ontario's regulations for the use and distribution of live bait has anglers and bait dealers wondering what the future holds. The Ministry of Natural Resources and Forestry is studying all live bait policies in hopes of reducing the introduction of invasive species. A co-chair with the Ontario Live Bait Angling Association said many underestimate the importance of the industry. “That little minnow has such an impact on our economy,” Jim Leworthy said. Tom Brooke, a fisheries biologist with the Ontario Federation of Anglers and Hunters, says the issues around live bait are complex, but his group wants to minimize the fallout of any changes. (Supplied)A fisheries biologist with the Ontario Federation of Anglers and Hunters said the issues around live bait are complex, but his group wants to minimize the fallout of any changes. “We need to have a really good understanding of what the risk actually is there, before we start restricting the anglers,” Tom Brooke said. Brooke added nothing has been decided, and any final recommendations will be posted to the MNRF's Environmental Bill of Rights Registry for public comment. "The province was required to review our current management around the use of live bait in Ontario,” Brooke continued. “The reason for this was seeing the expansion of some aquatic invasive species throughout Ontario. And one of the potential pathways for this is anglers dumping bait buckets." Leworthy noted the province is currently “working on the park system ... to eliminate live bait ... and also reduce the angler movement of bait within those systems. 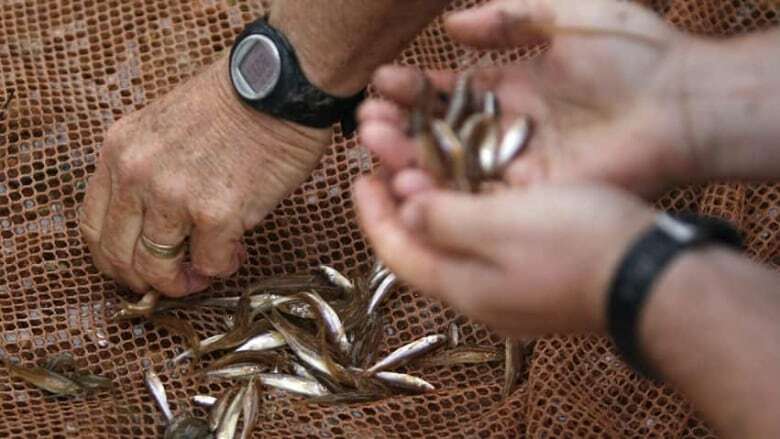 The MNRF reports it's not aiming to ban the use of bait fish in Ontario, however. But one potential outcome of a current review is restrictions on how and where bait fish are transported, according the manager of fisheries policy for the ministry. "One of the things we're looking at is how people move bait around the landscape," Dave Brown said. "One of the ways it's risky is that as people move it long distances, and from having it harvested in one area and then moving it a long distance to another area introduces risk." Brown said concerns have grown in recent years about the spread of invasive species in Ontario lakes. However he added the current review is looking at many other issues related to bait fish. "The stage we are at now is looking for ideas," he continued. "This is not about banning bait. It is about finding a better way to manage our bait resources so that we are able to have a viable bait industry — but we are also able to minimize the risk of introducing invasive species. Ontario is blessed with a tremendous fishery that contributes about two billion dollars a year to the annual economy and we want to make sure we protect that and the quality of that." Brown noted the province has had different invasive species and disease threats introduced over the last number of years. "We've introduced regulations to try to address those individual issues," he said. "Now we are taking a more holistic approach to do a better job and simplify it for our operators and be more effective at trying to reduce risk."